Photograph of cleared and stained multi-limbed pacific tree frog from Aptos, California in scientific collaboration with Stanley K. Sessions. Unique digital C-print on watercolor paper. 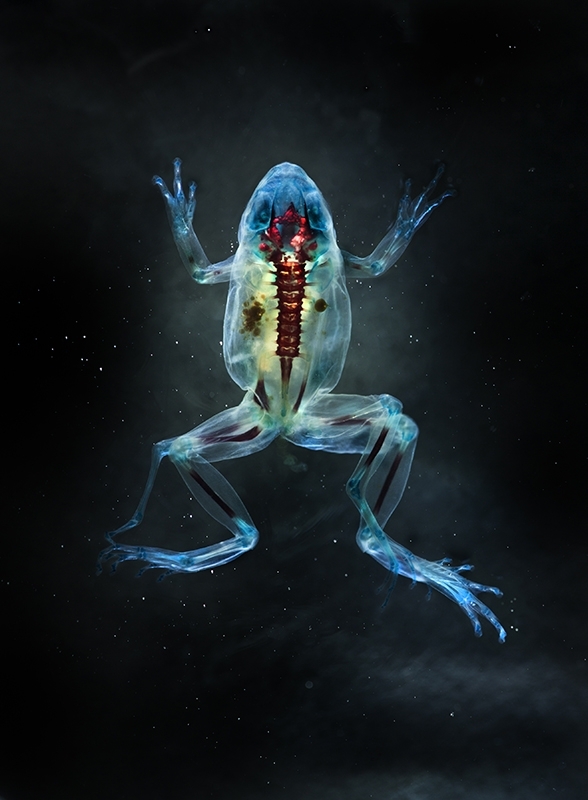 For those who will be in Michigan (USA) between January 18th and April 13th, 2014, The Midland Center for the Art’s Alden B. Dow Museum of Science and Art will exhibit 34 of my amphibian artworks, including selections from the series “Malamp Reliquaries”, “Early Life” and “Salamanders of New York” (created with Stanley K. Sessions), in the exhibition “Nature’s Fading Chorus: The Works of Brandon Ballengée”. Northern Slimy salamander/ Plethodon glutinosus. 2001. 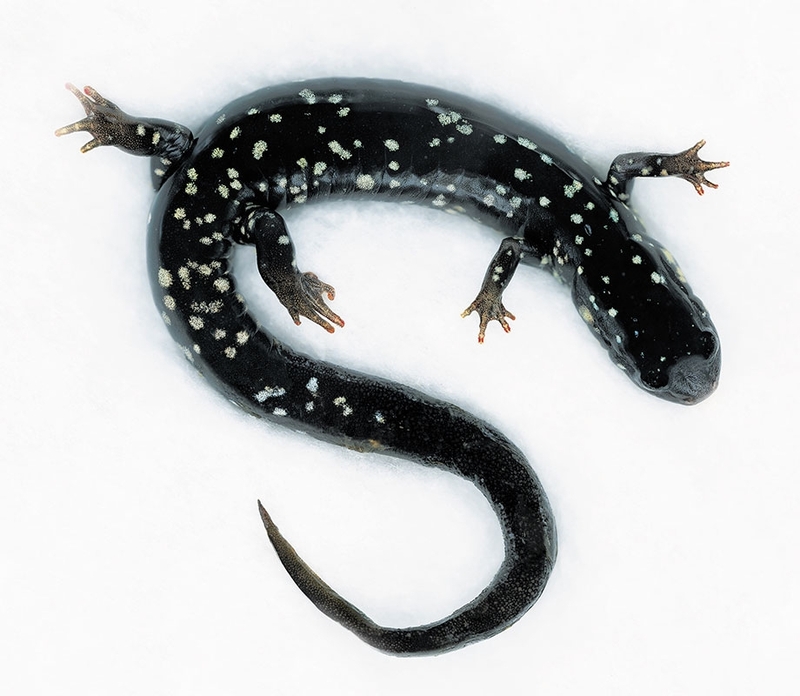 From the series “Imaging Biodiversity: The Salamanders of New York” by Brandon Ballengée and Stanley K. Sessions. Unique Iris print on Arches cold-press paper. Northern Slimy salamander/ Plethodon glutinosus. 2001. From the series “Imaging Biodiversity: The Salamanders of New York” by Brandon Ballengée and Stanley K. Sessions. Unique Iris print on Arches cold-press paper. 34 by 46.5 inches. For more information on the exhibition, please download the press release. The title of the exhibition was inspired by the book by the same name by Gordon L. Miller published by Island Press.